After 5 years in Bengal breeding, we decided to begin this new adventure by specializing us in a F2 (2nd generation) savannahs breeding program. 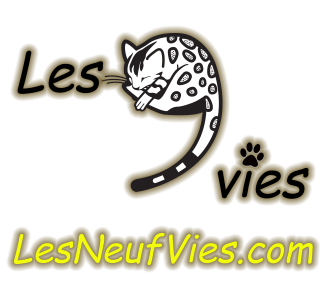 Our mission: Produce and offer very large cats, having the serval wild lookt with the softest character of the domestic cat. 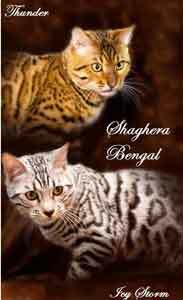 Once again, our friend and mentor Doreen Boileau of Drinkwater Bengal and Savannah cats allowed us to realize this dream by guiding us in this new adventure and offered us the exclusivity of her cat blood line in Canada. Doreen is a pioneer and expert in breeding exceptional quality F1 Savannahs, the first generation of these beautiful cats. You are more then welcome to come and see these extraordinary big cats in our website! Our first kittens are expecting for summer 2012! We are a TICA registered cattery. 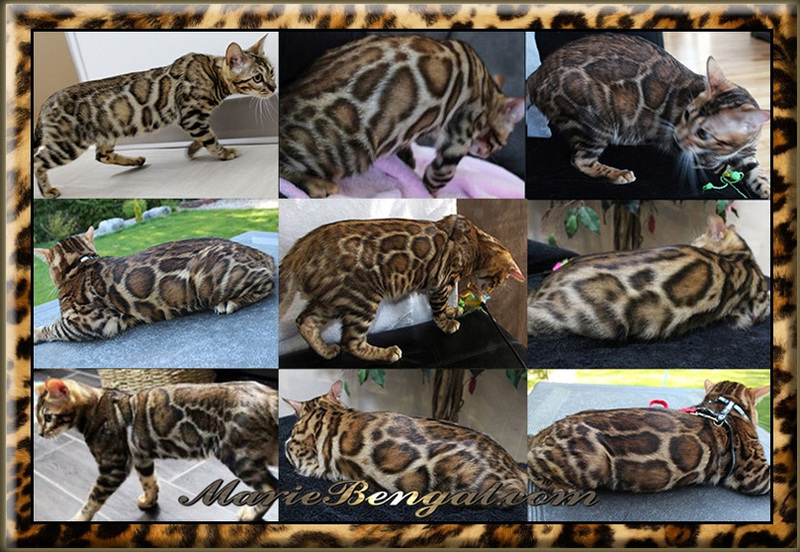 We specialize in brown black rosetted Bengal cats. All our cats are born from prestigious lineages, each with many champions. Our cats and kittens live in a healthy and wide open environment adapted to their movement needs. We do not use cages. In addition to a starter kit and pedigree, our kittens come with a health guarantee, are dewormed and vaccinated two times. All of our companion cats come sterilized. Our cats and kittens are very sociable. The pups are handled several times a day and several large rooms of the house are devoted to their exclusive use. Many games, such large cat trees and exercise wheels, boost their skills and satisfy their natural need for action. We pay great attention to health and hygiene. We use only food of the highest quality, and our little friends enjoy attentive veterinary care. Their living space is very healthy, litter and food dishes are cleaned several times a day.